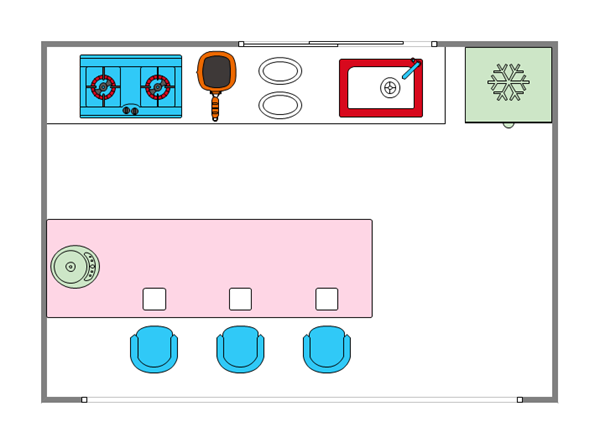 Free printable kitchen layout templates are available to download here. These kitchen layout templates will greatly help you when you draw kitchen floor plans. 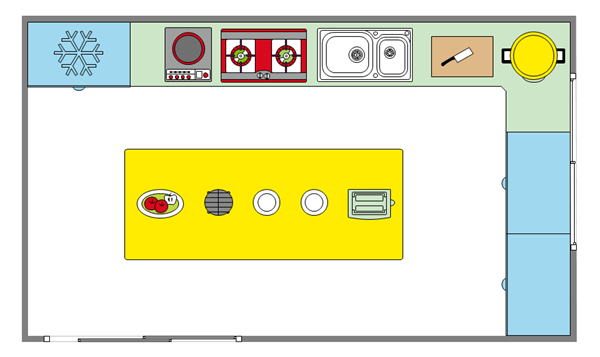 Free printable kitchen layout templates are available to edit, so you can make them your own if you are on short time. 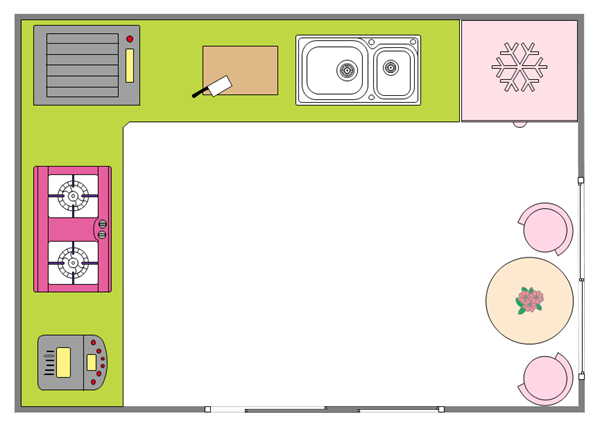 We believe that these free printable kitchen layouts will inspire great ideas from your mind. Better kitchen, better life. Learn to make kitchen elevations here. 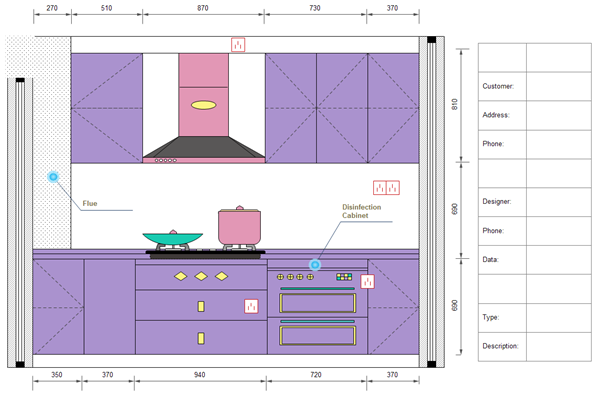 The pictures below are free printable kitchen layout templates drawn via kitchen layout tool which is also called kitchen design software, kitchen floor planner or kitchen elevation. Kitchen is actually the heart of the family. Even when you gets old, you will still remember the scene that your parents cook dinner for you in the kitchen. If you want to download the template above, simply click the picture, then it will jump to the download page. You can learn how to design a kitchen on your own. If you want to download the template above, simple click the picture, then it will jump to the download page. 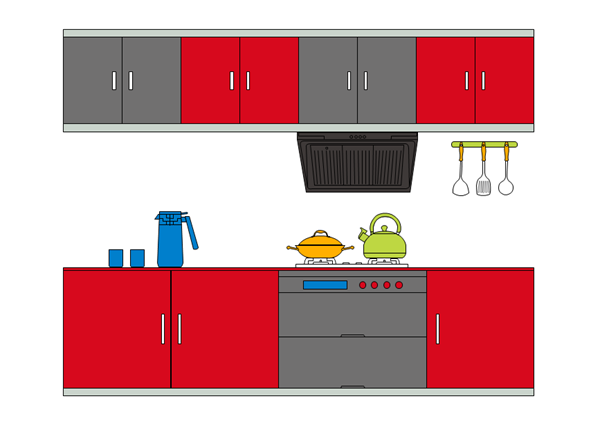 If you want to download the kitchen elevation above, simple click the picture, then it will jump to the download page. Click here to check out more kitchen plan templates. If you want to download the template above, simple click the picture, then it will jump to the download page. Click here to check out more kitchen plan examples.